We started hejhej-mats as we were disappointed by the current offer of yoga mats on the market. We did not find a mat, that could fulfill our sustainability expectations. So we started hejhej-mats and developed an eco-friendly yoga mat out of recycled materials which is also closed-loop. However, with one eco-friendly yoga mat, we can not call ourselves a sustainable start-up - but this is what we aim for! Sustainability is a fancy buzz word, but as some of you might already know, it is more than just acting eco-friendly and protecting our environment. It also has a social side. It means equality, the same access to resources for everyone and so much more. As a business, you are responsible for the impact you make on the social side to the same extent as you are responsible for the impact you have on the environment. With our production solely in Germany, we can make sure that our hejhej-mats are produced under good working conditions and everyone is paid fairly. Nevertheless, we also wanted to support people who are more disadvantaged than us, who not had the chance to study, go abroad and no regular access to healing yoga classes. We are just a tiny start-up and we know we can only make a small impact, however, we wanted to make it as high as possible. There are so many great NGOs that are worth supporting, so we got to think, how can we make the greatest impact? Children are the most valuable resource on our planet. Educating children means preventing them from doing the same mistakes our and older generations did. So, we came across Earth Child Project, an NGO based in Cape Town, South Africa. 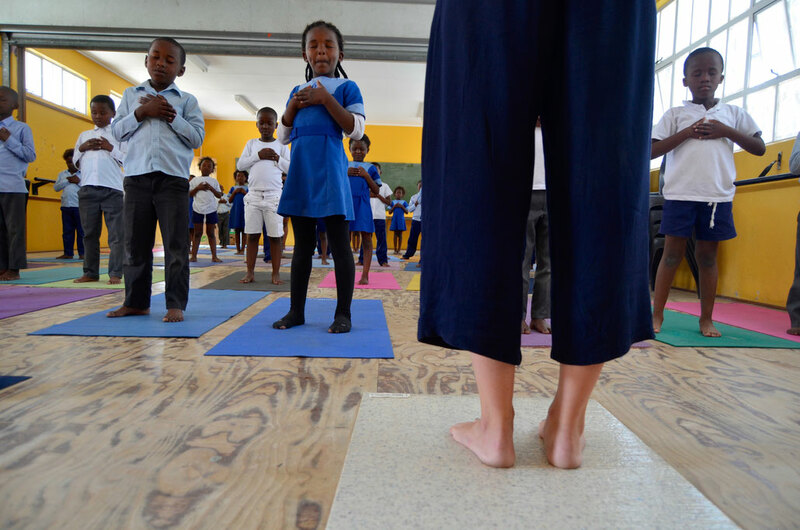 Earth Child Project dedicated its work to support children in disadvantaged communities by giving them access to yoga classes, environmental education and regular escapes into nature. We loved this NGO from the beginning and so we decided to make Earth Child Project part of our sustainable business and part of our closed-loop and eco-friendly yoga mats. We were so lucky to actually see the great work Earth Child Project is doing on site. 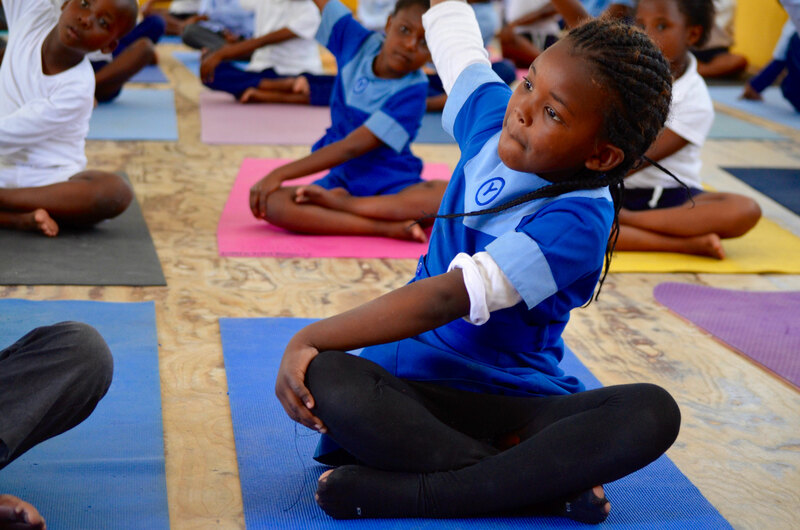 Due to the regular access to yoga classes, the kids are more balanced, they are less likely to get involved in gangs and other crimes. Environmental classes included in their curriculum give them a feeling for our precious environment and teach them how to use valuable natural resources. The kids are harvesting their own compost from their very own worm farm - and they were really proud to show us! We started our support for Earth Child Project with our crowdfunding campaign. In the campaign, backers had the chance to not only promote hejhej-mats but Earth Child Project as well. With the collected money, we were able to support in total 12 children. 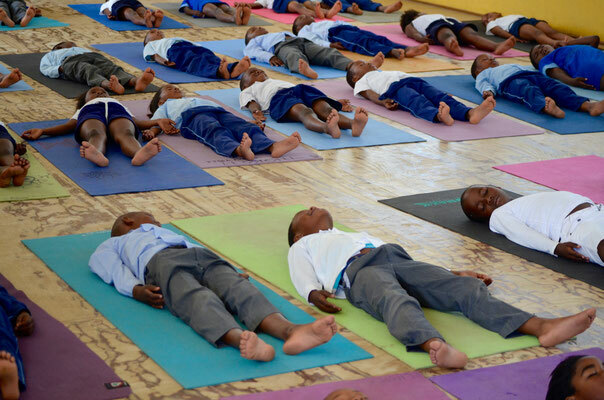 6 kids are now able to join regular weekly yoga classes for one year and 6 kids can take part in the weekly environmental classes for one year. We are looking forward to working with Earth Child Project in the future. With our production located in Germany and our cooperation with the NGO in South Africa, we are trying to make our social impact as high as possible, to balance the sustainable foundation of our business and to add social value to our eco-friendly yoga mats.